If a perfect blend of understated elegance and style is what you prefer then this necklace may just be what you need. 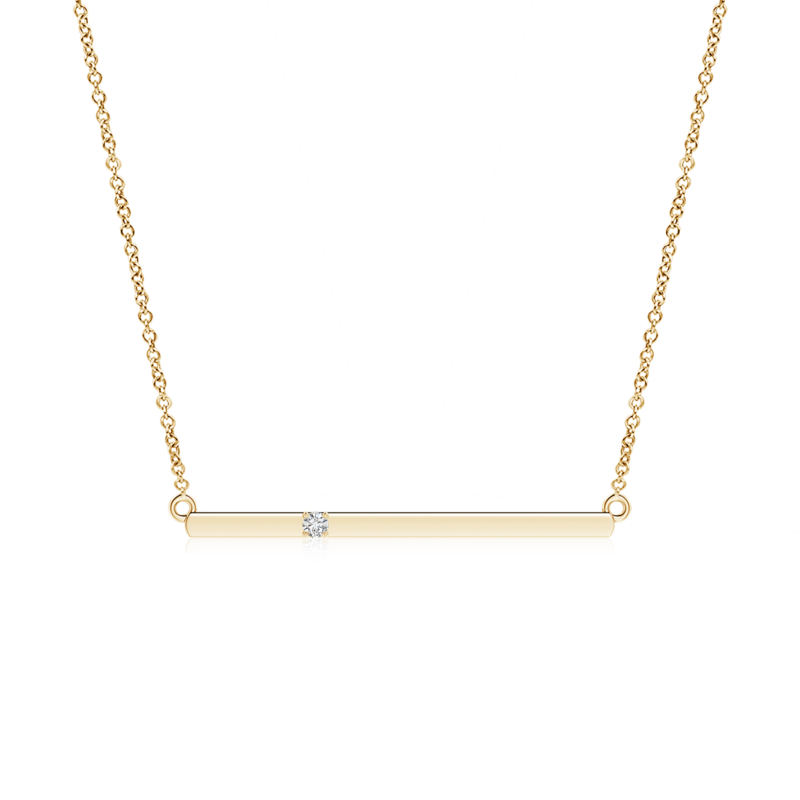 It showcases a sleek horizontal bar that gleams with the radiance of 14k white gold. Infusing just the right hint of brilliance into its minimalistic pattern is a diamond solitaire, which is prong set towards one side of the pendant. The contemporary design and the eco-friendly gem together make this diamond bar pendant a wonderful addition to your jewelry collection.